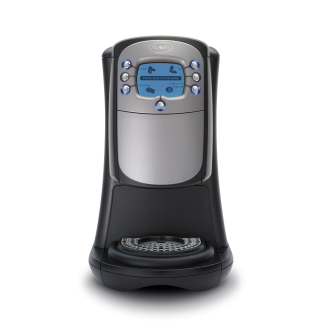 FLAVIA is the leading single-serve brewer perfected for the UK workplace. A perfect single-serve brewer, boasting industry leading reliability, the Flavia Creation 400 keeps your workplace running smoothly. FLAVIA® machines deliver hassle-free convenience, brewing directly from pack to cup using the original freshpack system. Designed specifically to meet the needs and demands of today’s busy workplace, the simplicity of the machine and its innovative, non contamination fresh pack system, means that FLAVIA® can save you time and effort, especially when compared to other hot drinks machines. The FLAVIA® CREATION 400™ is easy to use, convenient and even portable. Its intuitive yet simplistic interface takes the stress out of the rush. Drinks are delivered in seconds, so making the perfect cups of great tasting ALTERRA™ coffee, THE BRIGHT TEA CO.™ tea or GALAXY™ hot chocolate couldn’t be easier, saving you time to do the important things. Please complete the form for a free no obligation quotation and we will answer your enquiry shortly. Images are for illustrative purposes only, actual product shipped may vary from that shown. Specifications are correct at the time of writing. Providing bottled and plumbed in mains fed water coolers and coffee machines for business and home. Located in the Ribble Valley in the heart of Lancashire we serve customers throughout the UK. Monday, 22 April. Copyright © 2018-2019 Corrigan Specialist Services Ltd | Registered Company: 08843992.